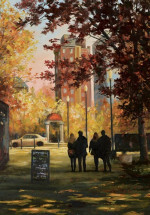 This was a special painting done for the cover of City View magazine at the City View studio in Knoxville Tennessee. 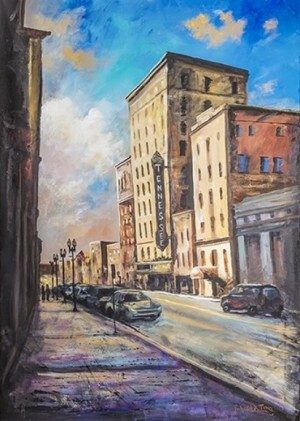 The historic Tennessee Theatre takes main stage as the viewer looks down Gay Street toward an evening sky. The original painting was 6 ft by 8 ft.